Kate Trever was the daughter of Robert L. Trever and Jemima Whydale. She was born in Wisconsin in 1870, but didn't stay there long. Kate's father was a circuit Free Will Methodist Minister in Nebraska, Oklahoma and Kansas. It was a rough life, living out of covered wagons and travelling in all sorts of weather. 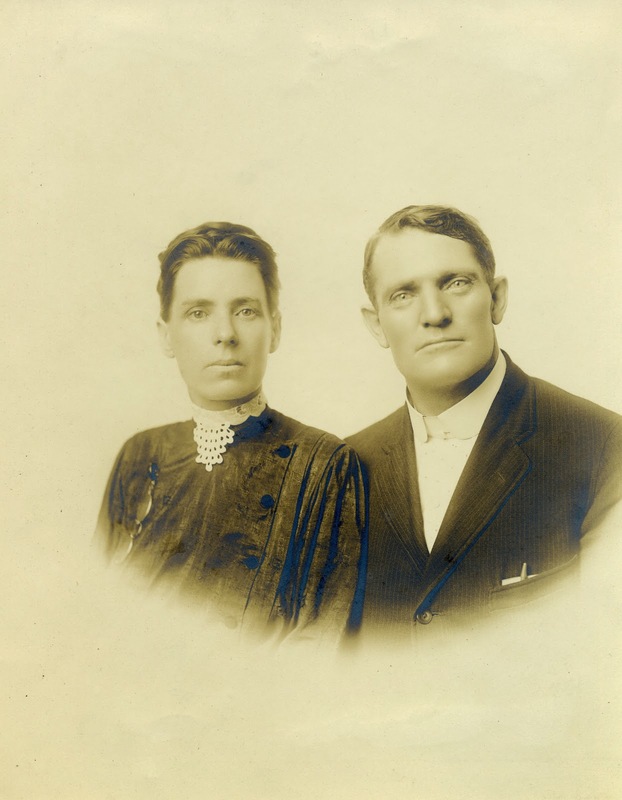 In 1894, age 24, Kate married Schuyler Vinta Coe, farmer and minister. In the 1900 census she was living in Dicks Woods, Oklahoma with her husband and daughter Ethel Jennie. The census shows that she had given birth to two children, obviously one had not survived. Her parent lived nearby. 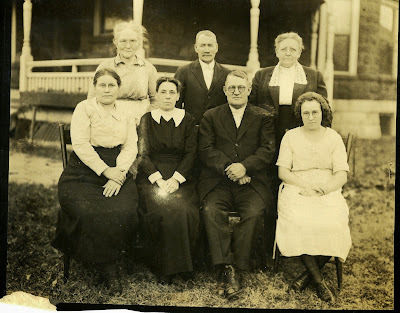 By 1910 Kate and her husband were living in Kansas City, Kansas. Schuyler was a Minister in an Evangelical Church. They were also running an Orphanage and Woman's Home called Life Line Ministries. Kate and her husband adopted one of the children and named him Chester Coe. At various times her sister Elizabeth Marriam Trever worked with her in Kansas. Her father Robert Trever died at her home. Schuyler died in 1927 and a new minister was appointed to the church he had started. Kate Coe and her daughter Ethel continue to run the Orphanage. Ethel married Hugh Hardie and he also worked in the ministry. The Home operated for 74 years and finally closed in 1981. Kate wrote a book published in 1932 called "A History of the Life Line Orphanage". There are no copies available so I have not seen it. do you know something about Kate Coe, please share! Also if you have the book I'd love to hear about it. I just received a batch of photos that include the following of Kate Trever Coe and her husband. Hello! I found your blog while researching my own genealogy. I'm trying to find out it's we're talking about the same Kate Trever. Is your Robert Trever born in 1842 in England and died in 1921? His parents were Joseph Trever and Elizabeth Medely. Thank you so much for any light you can shed on this. See my post of Robert Trever for what I know about him.